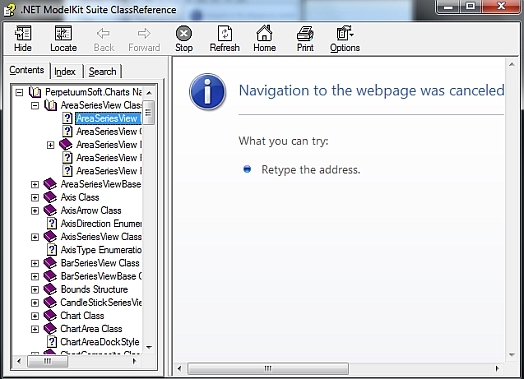 If you download "Class Reference" help documentation in .CHM format from our site, then the next problem could be appeared: when you open this file, you see "Navigation to the webpage was canceled" or "Action Canceled" error message. The reason behind this issue is due to security protection in Windows 7 and Windows Vista. Windows blocks the display of the content downloaded from the Internet. 1. Right-click on the downloaded CHM file and click "Properties". 2. 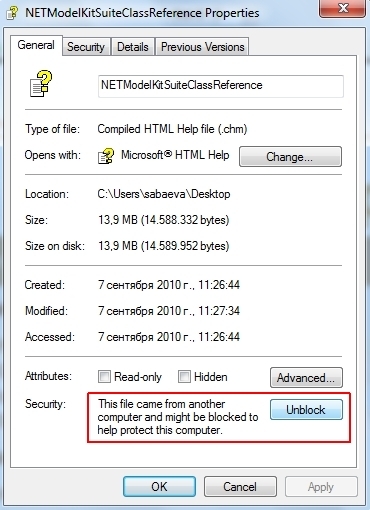 In the General tab of the properties dialog box, click "Unblock" button. You can see the security reason mentioned there… "This file came from another computer and might be blocked to help protect this computer". Now try opening the downloaded CHM file. It should open with all the contents.